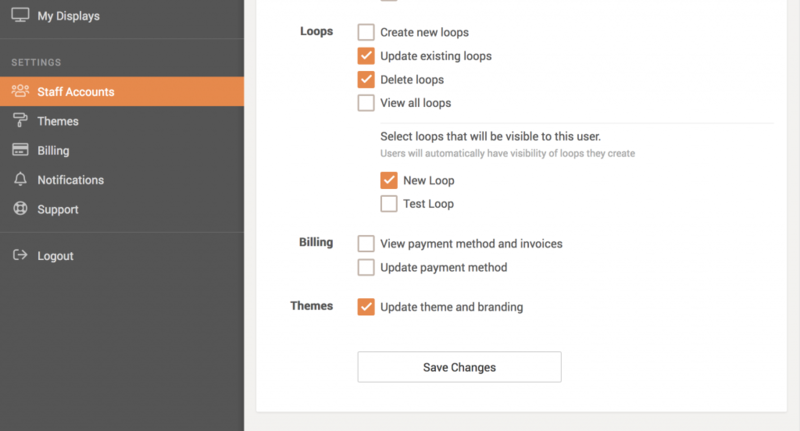 Click and drag the screens in the loop to change the order and click save changes when complete. 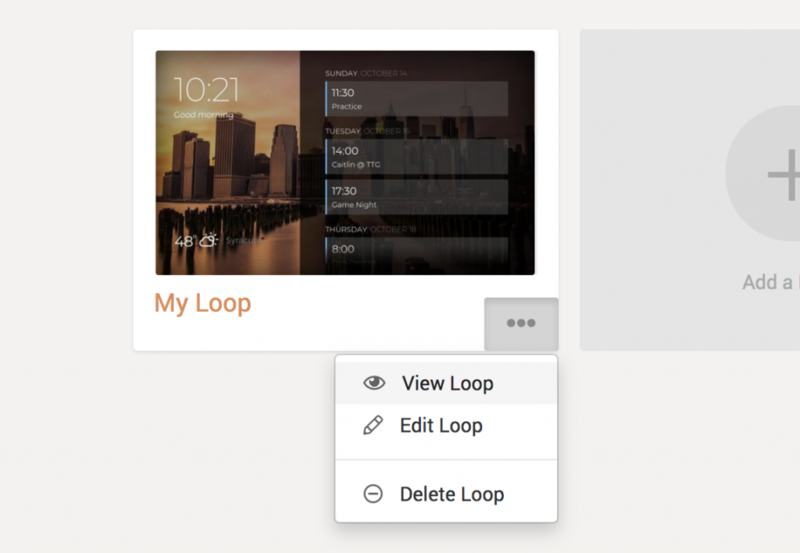 You can preview this loop on a computer or tablet by clicking the menu under the loop (the 3 dots), and then selecting view loop. 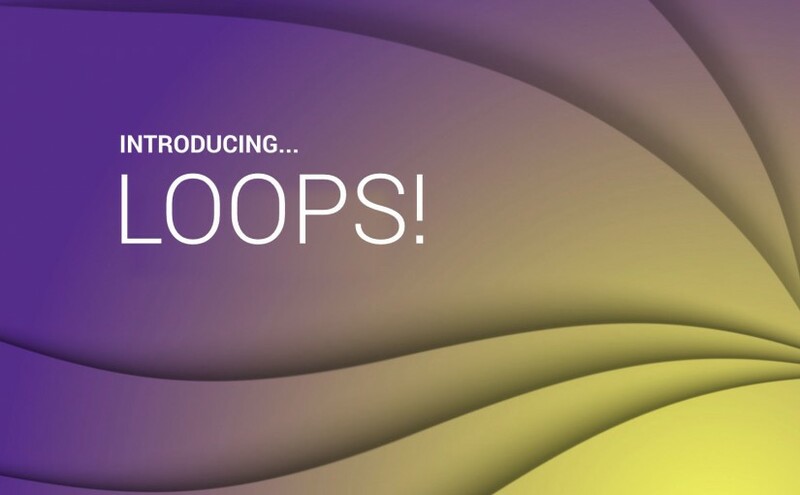 Save your changes and your connected display will update momentarily and begin showing the loop. Rotate: This determines how long each screen should remain visible before rotating to the next screen in the loop. Transition: This sets the speed of the swiping transition animation between each slide. “None” is no animation, an instant change. Note: We recommend setting this to “None” when using a Raspberry Pi or older computer/tablet. They typically lack the processing power to create smooth transition animations which can result in a choppy/stuttering effect. Loops work great for both landscape and portrait screen orientations. Although, we generally recommend not mixing different screen orientations within the same loop. The placement of the blocks on the screen can be a bit off when displaying a portrait screen on a landscape display, or visa versa. By default, staff accounts do not have any privileges for loops, so you’ll need to add the desired privileges to staff accounts that need access. If you have any questions or feedback, we’d love to hear from you. Check out our support page for more information and we’re always available at contact@dakboard.com. Nice! Was hoping for something like this, looking forward to trying it out! Thanks for continuing to develop awesome features like this! Wow – takes things to a whole new level – brilliant work guys! PS- rotate speed must be assigned at the screen level and not equally across all screens in the loop. Example, An ad slide might display for 5 seconds but a calendar or more complex screen requires 10 seconds or more- it’s always going to be custom based on the screen selected. Thanks David! Yes, that’s a good point, we’ll get a feature request opened up for that. Thank you. Previous Previous post: Trello Integration Added!